Paint guns. Which to use? 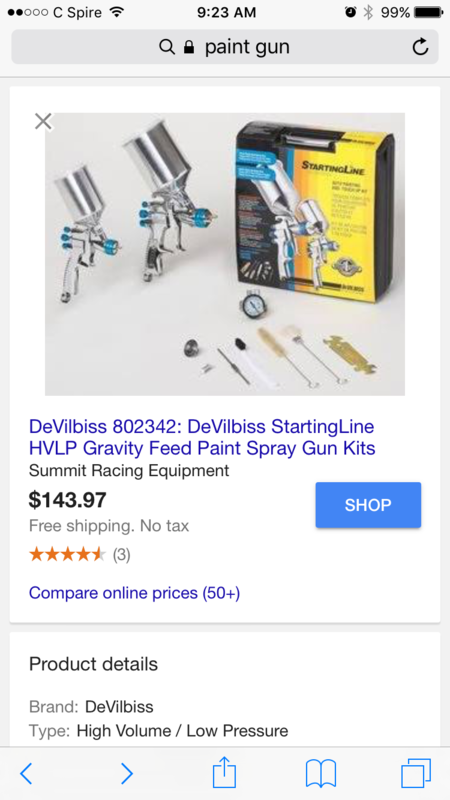 hey guys I'm thinking on buying some paint guns soon and found some online I was thinking about trying. Does anyone use these? Will they work? Thinkin about the big one for activator and the small one for painting. I had a Devilbiss Finishline which is the next upgrade to the Finishline. It was a good gun for clear and base, but not great. 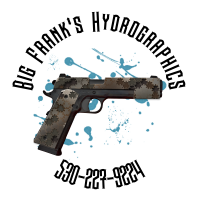 If you could only spend $150 on a gun, and don't shoot large items much, I would look at the ANI R150 mini gun in a 1.0 or 1.2 tip for clear and base. if you need a bigger gun for the same thing, I would look at the ANI F150. Neither of them would be good for activator if I had a choice. Jim here at K2 can hook you up with the ANI guns and they will come setup. My parts will mostly be small stuff. Guns, skulls, some car parts maybe, cups, stuff like that. So I should get up with Jim and check out his mini gun on that. Well what about activator. What would work for it? And what about the gun @onehitwonder offers. I see they are LVLP gun and most of what you hear is HVLP. What would they be used for? Air gunsa from k2..... inexpensive and comes set up for activator ! Look a there ...... your one stop shop for all your hydro needs ! @Sreynolds Lol how much kick back do you get from selling guns for Jim? Never met the guy !! He wouldn't sell it if it was s*&^ , I can tell u that ......... That wouldn't say much for his business ... right? Hope to meet him and more if a FL remote comes along ! I'm a big fan of Iwata guns. Have liked every one I've used. Currently use a LPH400 LVX for base and it's amazing. lol I'm just pickin at ya bud. I hope to meet him one day also and get some training under my belt. I use an AirGunza 1.8 for activator. I used Hydrovator, but have recently switched over to K2 Super Brew. @K2Concepts. Alright point taken. Jim I'm seriously thinkin on buying one of your mini guns. Thinkin on that ANI. Wanting it for shooting base coat and clear coat. What do you suggest? Ok I should do a little more research on it and see what I think would better suite me. I have used paint guns in the past so I'm familiar with them. But I'm no painter by trade. But I figure I can get the hang of it pretty quick. Especially with the help of everyone here. I must say this has been the best forum I have ever known of. Alright I think that's what I'll do. I appreciate the help bud. Couldn't get it done without all of you.